The Manor was built in 1616 and descends from the noble De Bois family, it is one of the most imposing buildings in Ashford. 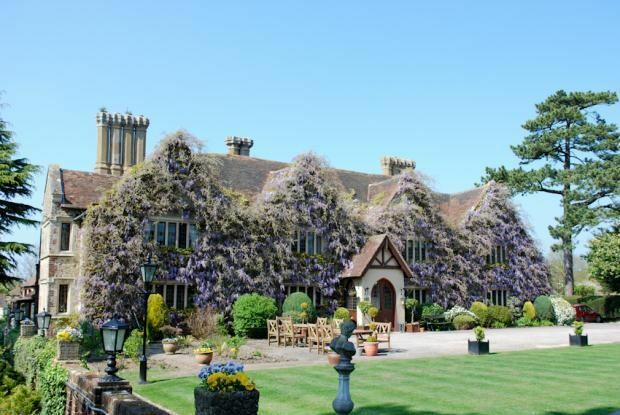 Kent is often referred to as the Garden of England, and with over three acres of pristine gardens it is the perfect setting, you feel as though you are in the heart of the countryside. 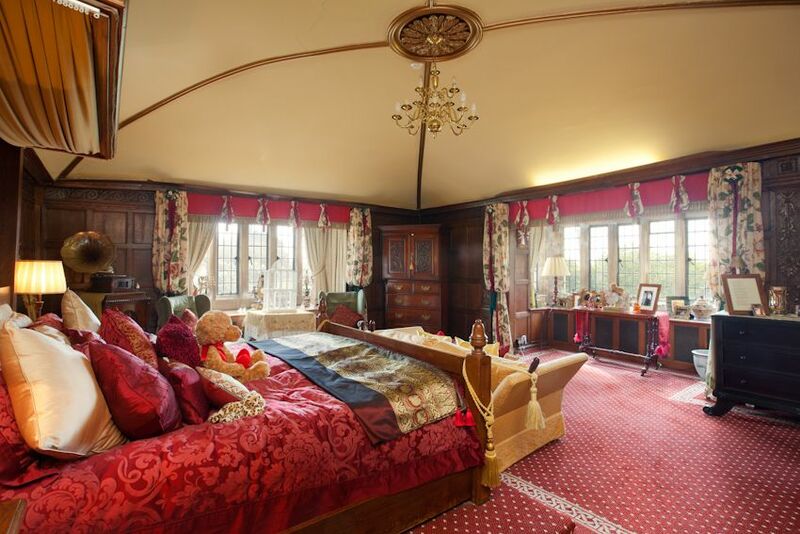 It has kept many of its fascinating original Jacobean features throughout. You are engulfed by such a warm and welcoming atmosphere you’ll be able to relax and enjoy your break with great elegance and in true luxury. 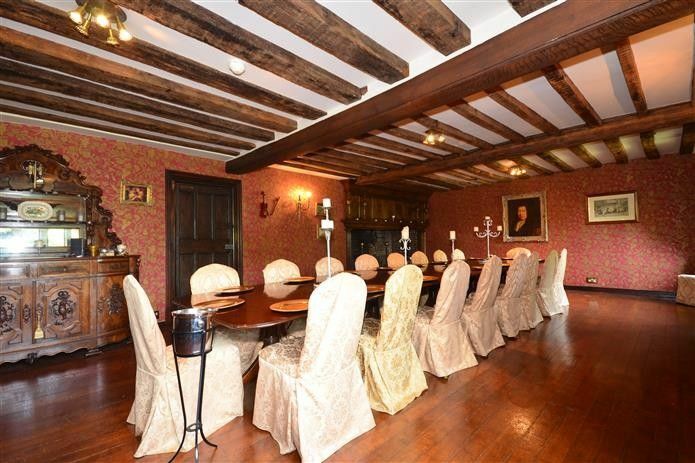 9 bathrooms, 8 bedrooms, massive inglenook fireplaces, oak beams, stone window frames yet with a modern kitchen, central heating and Wi-Fi. 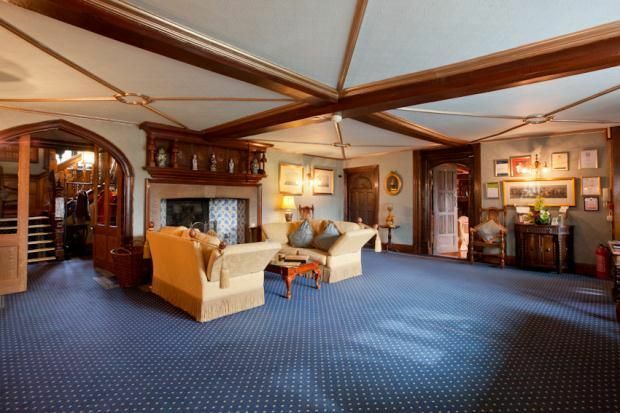 A grand entrance with inglenook fireplace leads to; the dining room, with another fireplace and seating for 22 around 1 table; Drawing room with inglenook fireplace; a hallway leading past the house’s ‘king pin’ – the central support for the whole manor! 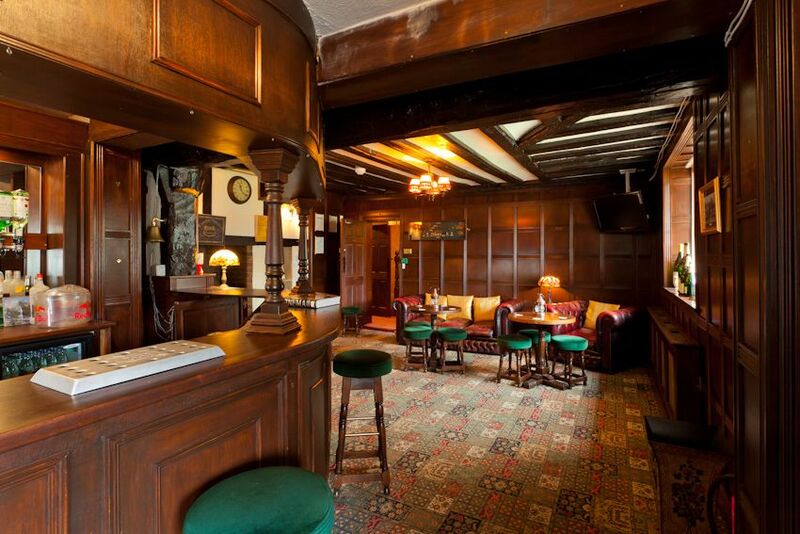 This hall leads to the bar area and 2 WC’s. 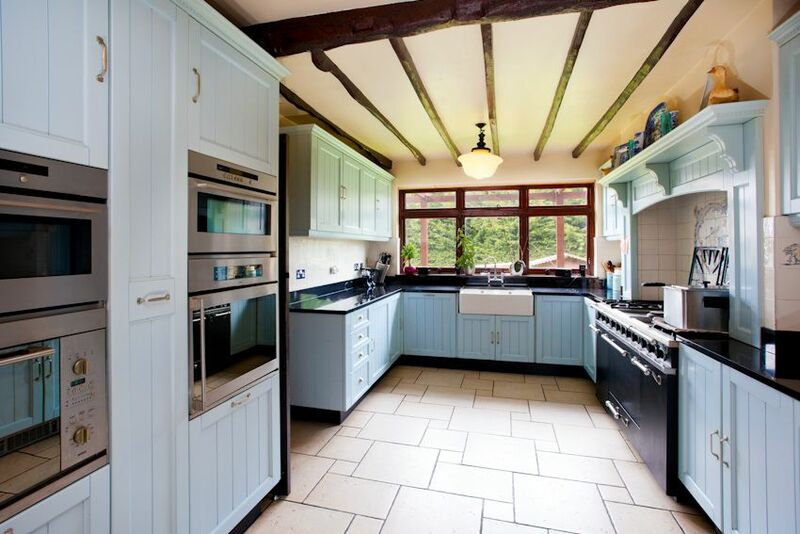 Also on the ground floor, another hall leads back from the entrance hall to the main staircase the large professionally equipped kitchen with utility room as well as a breakfast room and further WC. On the first floor are 7 of the individually named and styled bedrooms, all with televisions, DVD players and tea/coffee facilities; the huge Master bedroom has an en-suite with his and hers sinks, shower and bath as well as a walk-in wardrobe, there is a king size bed as well as a double sofa bed. 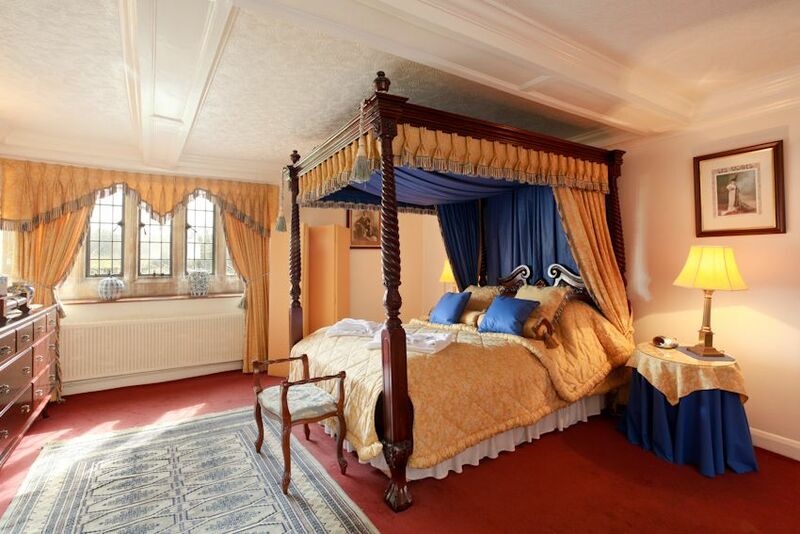 The Chantry has a 4-poster double bed, walk in wardrobe and en-suite, bath/shower over, WC and Basin. The Debois is a French style interior and has plenty of wardrobe space, king-size bed, en-suite with bath/shower WC and Basin. 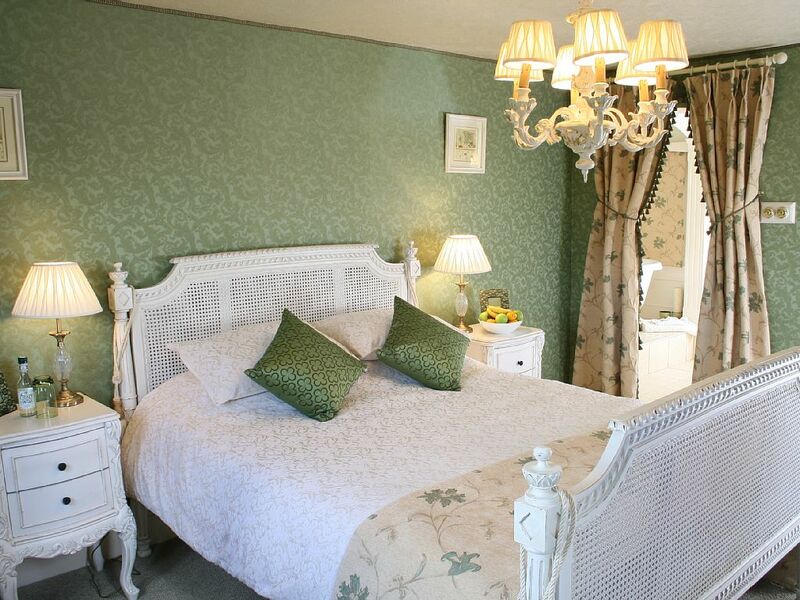 The Lavender room has twin beds and en-suite shower-room including WC and basin. 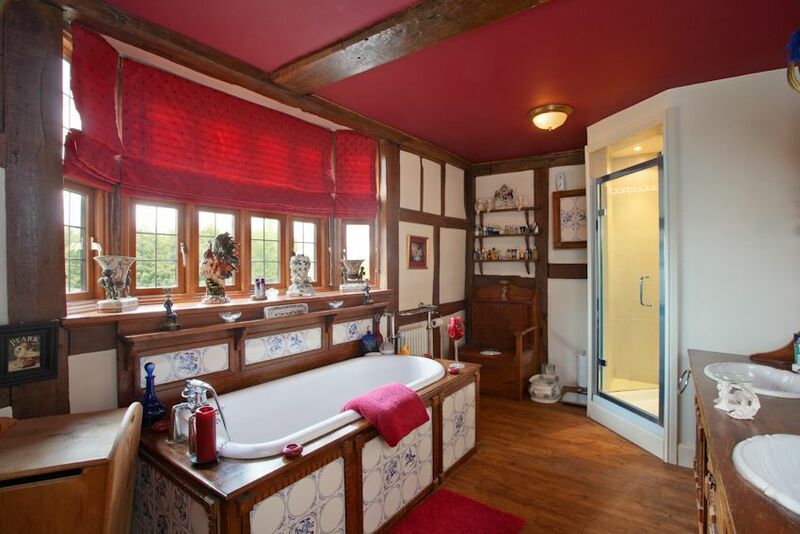 This can be adjoined with The Windsor which has king-size bed and en-suite shower-room including WC and basin. 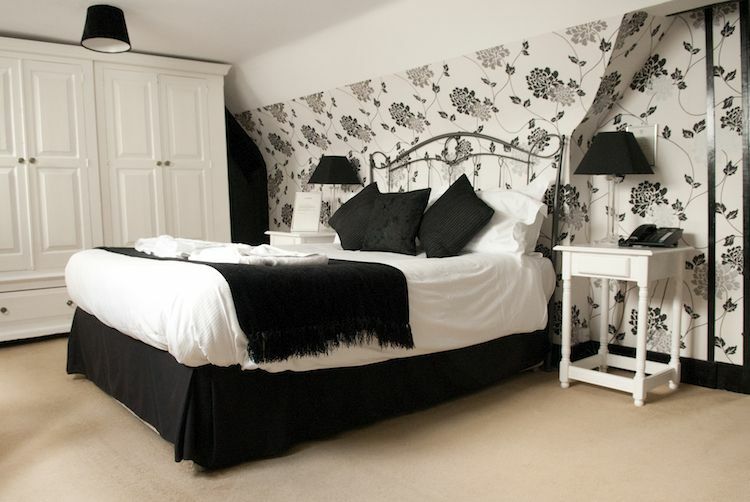 The Oriental has twin beds and a quality double sofa-bed, en-suite shower room including WC and basin. A family bathroom with bath/shower over wc and basin is also on this level. 2 Z-beds are available to sleep the maximum 22 and can be set up in most bedrooms. 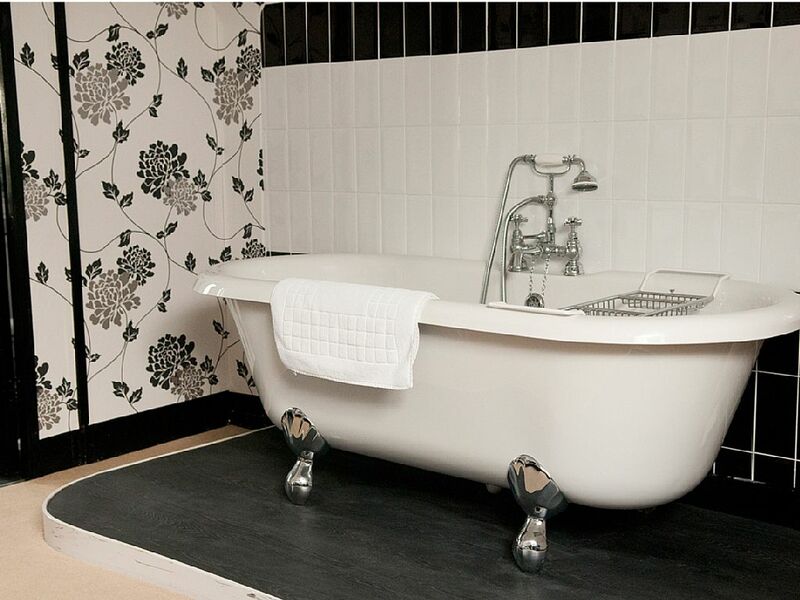 The second floor accommodates The Boyce and The Loft bedrooms each with king-size beds and access to their own bath/shower facilities and WC’s. The property is set in Ashford, being surrounded in such lush greenery you would think you were in the heart of the countryside. 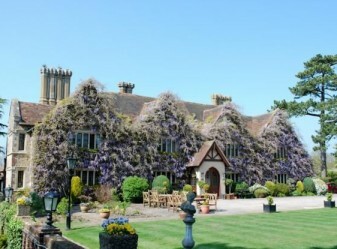 The manor is in a great position with close rail links to London in just 37 minutes as well as Eurostar to Paris, Bruxelles and more, it is also easily accessible from junction 10 of the M20. There are good local amenities including pubs within walking distance, a designer outlet and town centre just minutes away, yet still maintaining its own country oasis within the grounds. The rest of Kent is within good reach with the coast just 20-30 minutes away at Hythe or Camber to the South, bordering the Weald just to the West including the Royal Tunbridge Wells by car or train. Canterbury is also just 20 minutes by car or train with some great places to eat and cathedral, further North is the sea side town of Whitstable with a great high street including the Cheese Box, oyster bars and harbour.